The GPS Tracking Key is a small, pocket-sized device that receives signals from the 24 Department of Defense satellites orbiting the Earth. The internal computer accurately determines the GPS location of the device within 2.5 meters and records detailed travel activities every second. Data stored on the Tracking Key can be accessed by inserting the unit directly into your personal computer or laptop via USB port. The information recorded by the Tracking Key can then be: viewed as a written activity/text report; displayed over a digital street map; or – the most popular option - displayed over a satellite image on Google Earth. The GPS Tracking Key is powered by just 2 AAA batteries. Its strong magnetic mounts allow for instant mounting inside, outside and even underneath the vehicle. And because the GPS Tracking Key is also water-resistant, you never have to worry about exposure to the elements. 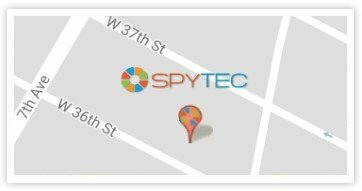 Simply put, the GPS Tracking key is an affordable GPS vehicle tracking system that records driving. Logs the driving speed, every second. Shows you the maximum speed driven for the day. Logs location, date, and time of every stop. Fast USB download. The tracking key plugs right into your computer. Software animates the vehicle driving over a digital street map. Average battery life of 2 weeks with standard Alkaline batteries, 2.5 weeks with Lithium batteries. Battery life depends on hours driven per day. Above calculations are determined with 2 hours of driving per day.